A few weeks ago I found I was talking to several different people via Twitter who were from Dartford. Not all of them knew each other, but some did, and all had an active interest in the local area. So I suggested a Tweetup, a real world meeting. Dates are always tricky to pin down. But we have ended up with Tuesday 17th September, 7:30pm, at the Royal Oak in Dartford. All this got agreed inside Twitter and then… last week… back in Google Calendar world I realised I was double-booked and won’t be able to make it myself! Ironic – but no problem. These things aren’t about an organiser. It just takes someone to make the suggestion and then, hopefully it looks after itself. After the first one there should be some extra connections between people, making it easier to get the next one set up. So I’ve made this post to act as a message drop for anything too big to go on Twitter, or that it would be useful to have in one place. Just use the Comment function. Not very prominent in this WordPress theme but there’s a “LEAVE A COMMENT” link at the bottom of the post. I’ll be in London on the night giving a workshop – so maybe tweet me in on things @grimbold and include the odd photo? And don’t forget to invite me to the next one! I’m still free for Tuesday. More than happy to come along if enough other people are going. Not sure what to expect as I don’t think I have met any of the others before. Also not keen on sitting in a Pub twiddling my thumbs unless there is some real purpose. Meetings of like minded people that care about Dartford and are putting together a proposal to DBC have already started in the Vic and Bull Hotel. The next meet is on Saturday 5 Oct at 4:00PM, ending at 6:00PM. All are welcome to come along and voice their opinions. Thanks Stephen – that sounds very interesting – love to hear more about the proposal. I hope I can make it for at least some of that time. Would you like me to share a link to this info with the rest of the ‘Dartfordtweetup’ twitter list? Hi Nick. 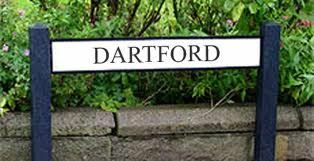 The meetings were initiated by Dartford Borough Council’s Dartford Creative project and, at present, are chaired by the project leaders (not council members). The main focus is on how to help DBC apply for funding from Arts Council England to continue the project into 2014 and beyond. Please share with anyone you think might be interested. Sorry Nick, I am already booked up for 15 October so can’t make that tweet up. As my artistic/creative ability is as much use as Van Gogh’s left ear, I won’t be at Stephen’s meeting either. Hopefully, I can catch up with others in the near future.